Assemblage on wooden archive shelf. 35x25x8cm/14x10x3inch. 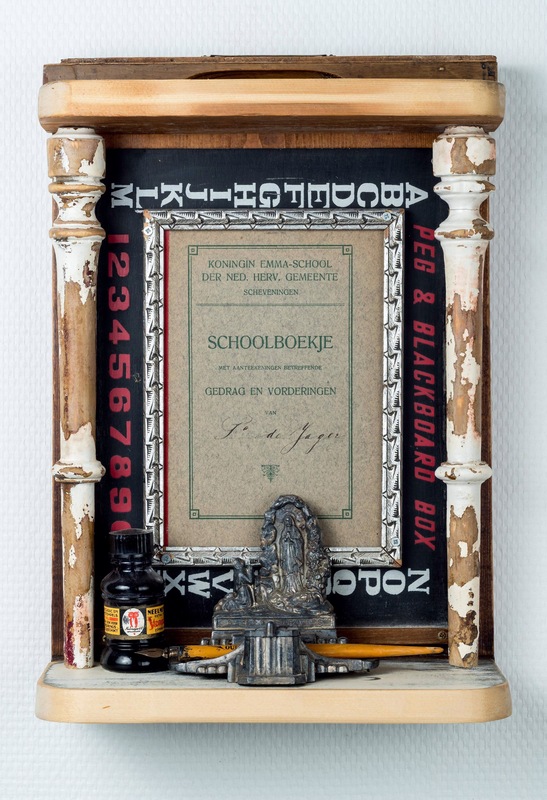 With a school-report from Petronella de Jager from Scheveningen from the twenties and other school related items.